My name is Patrick Dwyer and have been running our company for the last eight years, at Chameleon Landscaping Ltd we have very experienced teams with a veery pro active approach to landscaping which is setting us apart from our rivals in terms of design and build quality. 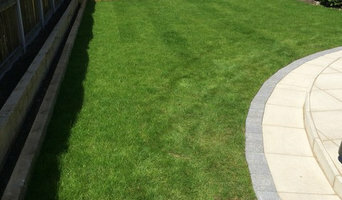 Our Landscape Gardening service in Mansfield, Nottingham and surrounding areas has supplied quality landscape gardening to both domestic and commercial customers for over 20 years. In that time we have built up a good reputation for delivering the highest quality of work, reliability and value for money. Most of all we have listened to you the customer, to put your ideas into reality. As a result, much of our work is repeat business and referrals from past customers. We work with Ashfield District Council, David Willson Homes, MK Construction, Farmfoods, Methodist Church and many other organisations. 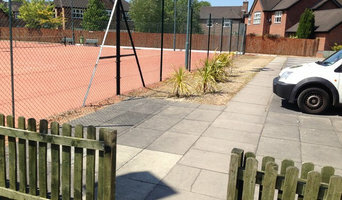 We proud ourselves on working with schools and colleges and we do our best to accommodate youngsters for work experience thus giving them skills which will be valuable in the landscape gardening industry. If you live in Sheffield and looking for a trusted property maintenance company, Fantastic Services in Sheffield is here to help! We work with experienced and trained locally operating specialists in many fields, check out some of the services offered in Sheffield: - Property Cleaning - service available 7 days a week, delivered by fully extensively trained and professionally equipped cleaning professionals. The cleaners can help with plenty of services including end of tenancy cleaning, one-off cleaning, regular domestic cleaning, carpet and upholstery cleaning, after builders cleaning, window cleaning, oven and BBQ cleaning, gutter cleaning etc. 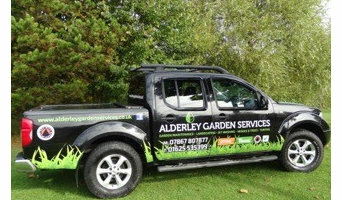 - Gardening Services - each of the experienced gardeners knows exactly what’s right for you and your garden! Bringing all necessary tools and equipment, the technicians can help with garden maintenance tasks, lawn care, garden clearance, tree surgery, pressure washing and many more! - Handyman Services- the trained and dedicated handymen we work with can assist with any home repair task you have on the mind, from TV mounting to kitchen and bathroom repairs! - Pest Control - release the pest problems with the efficient pest control service in Sheffield! Mice, rats, bed bugs, wasps and many more, the experienced technicians can deal with any type of pests! - Furniture assembly - count on the technicians for assembling flat packs of all types and brands offered on the market! - Removals and Storage - enjoy a stress-free service with the professional removals and storage services in Sheffield! Take advantage of home removals, furniture collection and delivery, storage, packing, moving supplies etc Join the fantastic Membership Club and take advantage of exclusive deals up to 40%OFF all services! For additional information check out our website or give us a call 24/7! 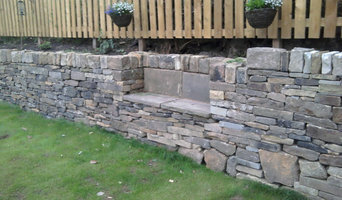 What can a New Mills, Derbyshire, UK landscape contractor or gardener do? 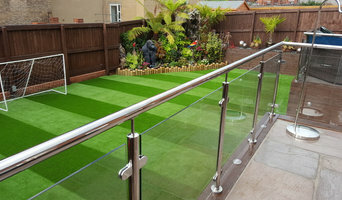 Find landscape solutions and New Mills, Derbyshire, UK gardening services on Houzz. Scroll through this page to find professionals that offer landscaping and gardening services in your area. You can browse their latest projects, read reviews and see how other homeowners rate their work, and message them directly.